There’s a new movement afoot encouraging Democrats to #WalkAway from the party of victimhood, and it’s got many liberals in a tizzy – especially since its founder is a homosexual hairdresser from New York. Brandon Straka, who’s quickly gaining notoriety as a viral video sensation, recently experienced the ire of leaving the liberal plantation while trying to purchase new camera equipment. He was accused of being a member of the “alt-right” and refused service, all because of a video he put out explaining how the Democratic Party exploits its members while lying to them about their place in the world. Women, minorities, and “people of color” are perpetual victims in a society that was constructed with their oppression in mind, Democrats are notorious for claiming. But none of this is true, Straka claims, as he prods others just like him – a former liberal – to leave the party and never look back. 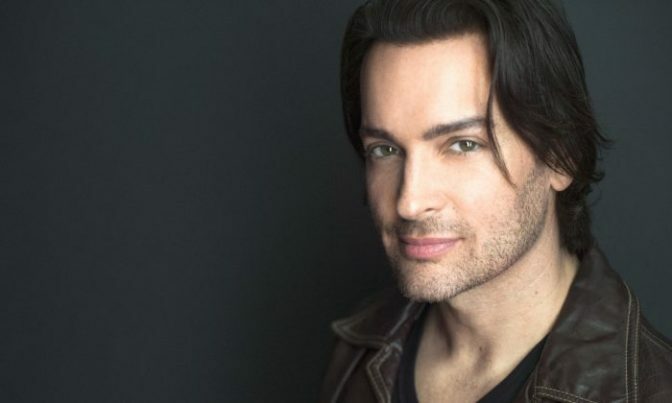 “They will insist that you are a victim doomed to exist within a system that is rigged against you,” Straka states in his original #WalkAway video, which is spreading like wildfire. “They manipulate your fears and concerns by telling you that you are disadvantaged, disempowered, and disposable … to everyone except them,” he adds. You can watch Straka’s original #WalkAway video below and see his tweets about being discriminated against at this link. Because Straka is gay and lives in New York, the expectation from the left is that he will be and remain a Democrat forever. Since he’s not meeting these expectations, however, he’s now paying the price, and is actually being victimized by the very same people who preach that conservatives and other “privileged” people are the ones marginalizing LGBT people like Straka. Straka’s experience at the camera shop of being refused service simply for breaking the status quo is quite telling as to the nature of the left, which has shown that it’s willing to basically eats its own the minute potential detractors even just mention leaving the proverbial cotton fields for greener pastures. And his experience with this type of thing is only likely to worsen, as he’s not backing down from his message. Speaking to Fox News recently, Straka explained how the Democratic Party “has no future,” and that its existence is on the verge of being over. Straka also pointed to the recent rise of self-proclaimed socialist Alexandria Ocasio-Cortez, whom the Democratic Party is now holding up as “the future” of the party. The Democrats are moving further and further away from what everyday Americans stand for, in other words, and it’s more shockingly apparent than ever. “I think that if you’re a minority in America … there’s sort of this assumption that you are not wanted on the right,” he told Ingraham, explaining how he initially felt, as a gay man, that his only place politically was with the Democrats. “If you’re a minority, you have a choice,” he now emphasizes. As far as the camera store incident, Straka isn’t at all phased by it. Chances are he’ll kick things up a notch by engaging an even stronger offense against the party of bullies. “What happened to me today will NOT slow me down or deter me in any way,” Straka tweeted after the horrific incident. “We will prevail. #WalkAway,” he added. For more news on the crazy behavior of liberals during the Trump era, be sure to check out LiberalMob.com.